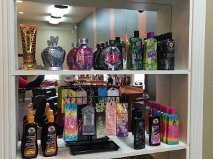 Houston's Salon LLC has two new Sundash Pro Tanning beds fully equipped with face tanners. Each bed is in its own room to ensure privacy. The bed bulbs are changed every 800 hours so a maximum of 15 minutes is all that's needed to start or maintain that "fresh from the beach" look! Tanning Beds with Hot New Bulbs! 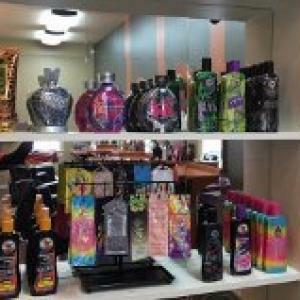 Australian Gold is specialized tanning products that help you maintain the color and length of your tan, while nourishing your skin and creating a healthy glow.